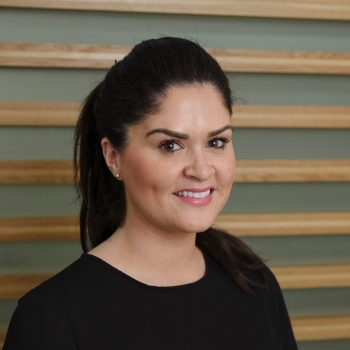 Physiotherapist, Charlene O’Leary, discusses her Kilimanjaro climb and the physical and mental hurdles she overcame to reach the summit. When planning to take on the biggest challenge of one’s life there are many things that go through one’s head. Will I be physically fit enough? Will my emotions break me? Do I have what it takes? One question I didn’t ask myself, or maybe I put it to the side, was, will I be mentally strong enough to get to the roof of Africa? During the pre-Kilimanjaro stage of planning, most of my focus was on trying to get as fit as I could in a relatively short period of time. Luckily, I was in the best hands, which came in the form of our strength and conditioning specialist, Graham Ferris. He pushed me as much as was physically possible without us falling out for good, and advised me continuously about where my training should be focused, keeping in touch with any aches and pains I had, and then tailoring all my training around this. 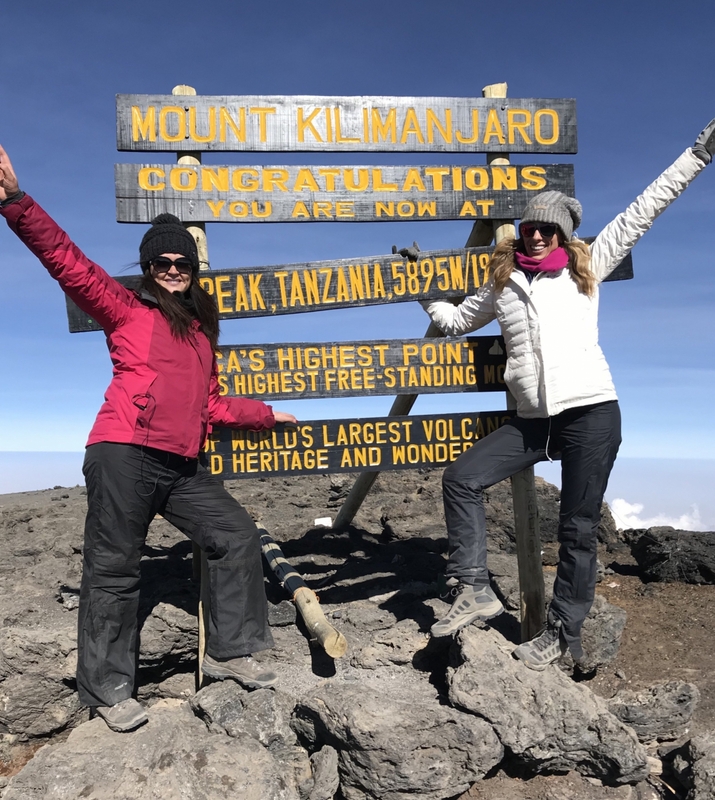 I also enlisted the help of the lovely guys from the Altitude centre, who pushed me in the chambers and believed that to successfully reach the peak of Kilimanjaro, you need to pre-acclimatise your body to better cope with the lower levels of oxygen at altitude. This gave me a better insight into how I would respond to the conditions that I was asking my body to go through, in the hope of successfully summiting. The first few days of the climb felt pretty relaxed and deep inside there was a secret hope for the tough days to come where we would start to feel like we’re pushing through our limits. Those days soon arrived when we started to climb above the 4000m mark and mild headaches, nausea, sleepless nights and the cold temperatures started to present themselves. 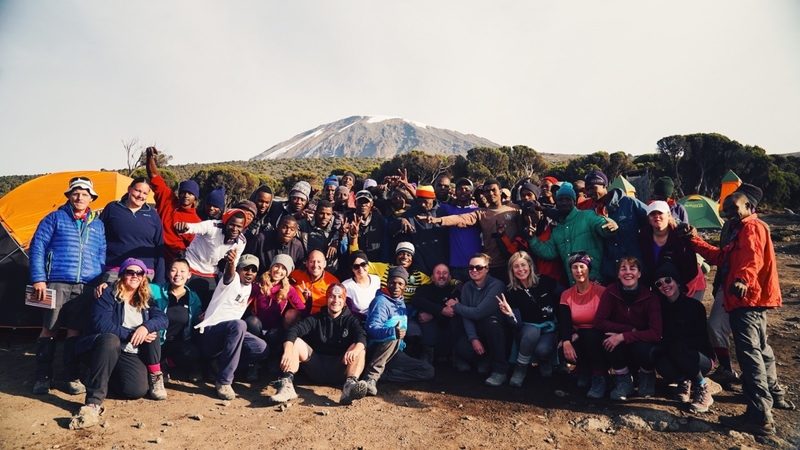 The moto on Kili is to climb high and sleep low to acclimatise and prevent extreme AMS (Acute mountain sickness). Physically you start to feel like you’ve had a hard workout and the legs start to give signs that they’re not too happy with the continued challenge and your breathing becomes a little more laboured. As difficult as this all becomes it doesn’t affect you too much, as surrounding you is an enormous team of people who will do anything in their power to make this trip as memorable and successful as physically possible. Summit night is a night that I’ll never forget. The whole weeks anticipation and nerves seem like they may take over and the tears start flowing pretty early on. I cried for numerous reasons: I cried for my mum who I was doing this for; I cried when I started to feel better after suffering a bout of nausea; I cried when we nearly got to the top; I generally just cried when I saw someone else crying, and I cried when we finally reached the summit. There were questions that went through my mind about why I decided to put myself through this and there was doubt to whether my legs would continue to keep moving all the way to the top. You go through highs and lows throughout the 8 summit hours where you feel invincible and then defeated all in the same breath cycle. The darkness does finally turn into light and the sun does rise. Once you’ve been in the dark you learn to appreciate everything that shines. Your breathing will become laboured and at times you wonder if your lungs can actually take enough oxygen in that is needed to exhale. You build bonds with guides and porters and start to have more faith in them getting you to the top than you do in yourself, but unless its altitude sickness which they monitor so closely, their enthusiasm, positivity and love for what they do drives you forward one step at a time. You think of everyone at home that has kept the faith and believed in you and remember the reasoning behind why you wanted to take on this life changing challenge in the first place. My mother’s legacy was my intention and ended up being my motivation in my moments of need. The truth is life is full of hardship and at times life’s greatest competitor is not the person next to you, but the one inside your head. Kili made me realise that support of others is a beautiful thing. The support of the people around you building you up before you go and the support of the team that gets you there. An African proverb that we learned whilst in Tanzania says, ​“If you want to go quickly go alone. If you want to go far, go together”. The inspiration and admiration you get from people on the mountain really drives your forward and at times you have to remember that even though you’re keeping your head down, it’s good to look back to know where you’ve been and to appreciate the beauty of where you stand. Any advice I can give people who are considering climbing Killi is don’t underestimate the summit. Our bodies are capable of some incredible things, as long as we can overcome the self-doubt and mental fatigue. It’s pretty amazing to discover the heights of your capability and strength once you get to the top. I generally believe that most people can get to the roof of Africa. It’s a beautiful thing to have lungs that allow you to breathe air in and legs that allow you to climb mountains. It’s just a shame sometimes that some people don’t realise that that’s enough. As long as you keep believing, you’ll get there. When you stand at the top of Kili, you start to see the world in a different way. Some things that maybe didn’t seem achievable now seem in reaching distance and you’re filled with inspiration. Kili was one of the most moving, yet challenging experiences of my life, one that will stay in my heart forever and one that I will be eternally grateful for. Many thanks to Lilly Sabri, Charity Challenge, Ahsante tours and Marco from gofilmapp for making this all possible.